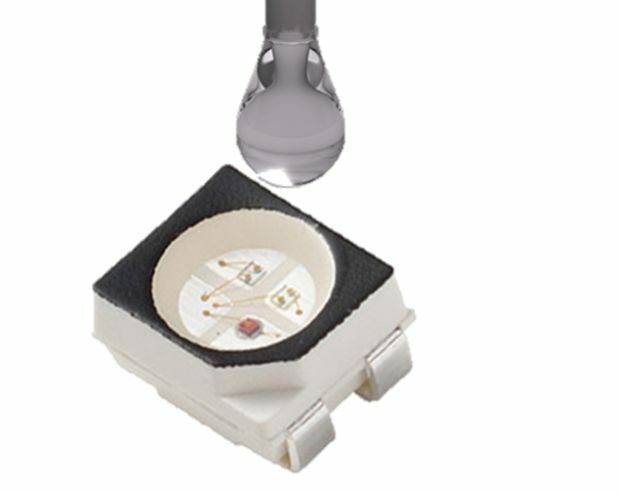 With the increased use of LEDs and optical sensors in surface mount applications, there is a need for optically clear encapsulants with low moisture absorption and high glass transition temperatures. When heated to solder reflow temperatures, moisture absorbed in the compound can vaporize – causing a rapid rise of pressure inside the packages. Higher glass transition temperature of the molding compounds can increase device performance by improving both popcorn resistance, and by reducing stresses on the wire bonds during thermal temperature cycling. 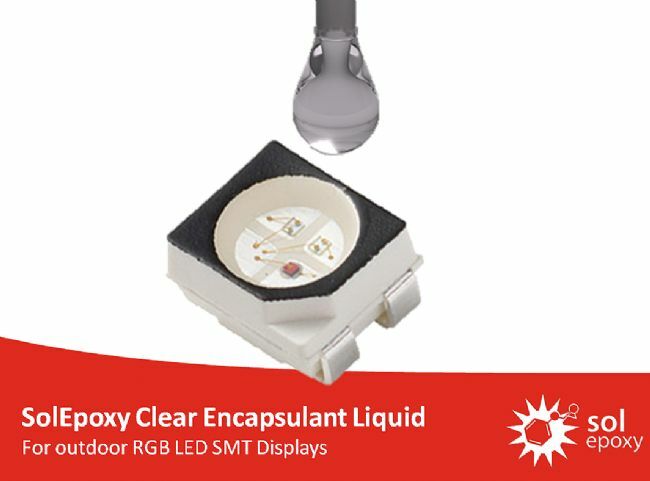 SolEpoxy Optically Clear Molding Compounds are the choice when optical clarity and UV & heat stability are vital. Since it is an epoxy-based thermoset molding compound, high-productivity transfer mold manufacturing is possible. Many colors are available through the use of clear, stable dyes. 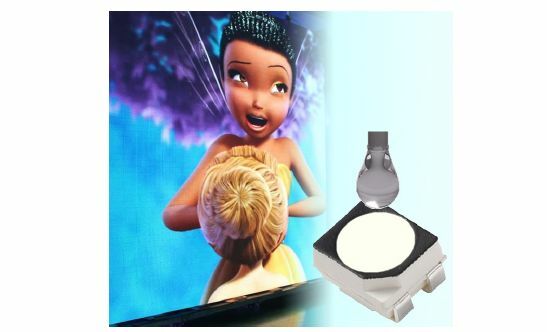 Optical sensors can be encapsulated in colored compound to achieve tunable transmittance. Black dyes, filter only the infrared (IR) spectrum, colored dyes can select types of lighting in the visible spectrum.